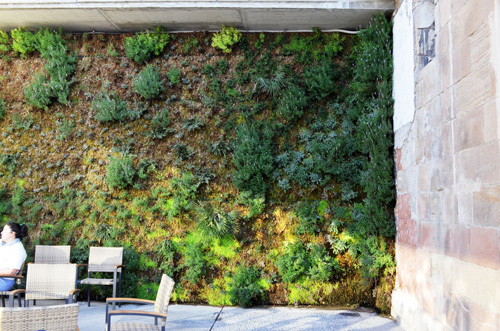 Julie introduced me and I think some of you to living green walls in her post here. There are some people good at spotting something cool before it becomes a trend and Julie is one of those people. 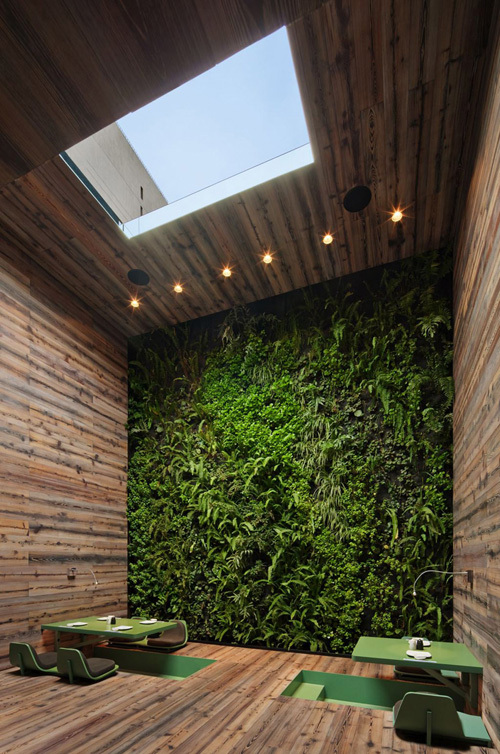 Now I'm seeing a big interest in incorporating green walls in interior design. After her post I went to Malaga and took this photo below (posted about here) of a wall at a restaurant in the port. Ever since, I have become aware of any design that incorporates greenery. Like this! Isn't this stunning! Nature as art. evergreen panels composed of living lichen. 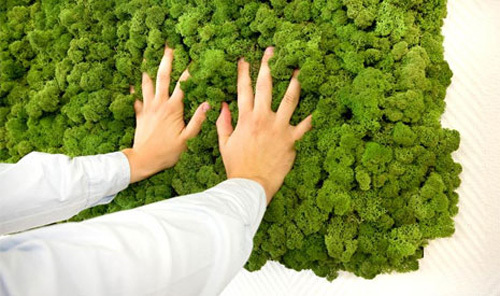 So basically, a base of fiberboard is covered with a 2-inch thick layer of reindeer moss which draws all the materials it needs to live from the air. So it helps regulate humidity and the best part- it also promotes high quality accoustics- HELLO media room!....or any room....! A company called Freund does this type of evergreen paneling. I'm sure if you are handy and green-thumby you could figure out a way to do it yourself. ** Some photos were deleted from the original post because the source we got them from did not have a copyright for them. Sorry for any inconvenience. Very interesting.. I especially love the white (modern&polished) and green combinations.. Please stop by my blog if you get a free minute. I am trying to decide which shoes to buy and would really appreciate your input! thank you! !